The Environment ministry has ordered an enquiry into the incident of fire that had broken out in the garbage strewn around Bellandur lake in Bengaluru. NEW DELHI: The Environment ministry has ordered an enquiry into the incident of fire that had broken out in the garbage strewn around Bellandur lake in Bengaluru. "We are enquiring into it. The report will come by evening. We will have to see what were the reasons behind the fire," Environment Minister Anil Madhav Dave said. 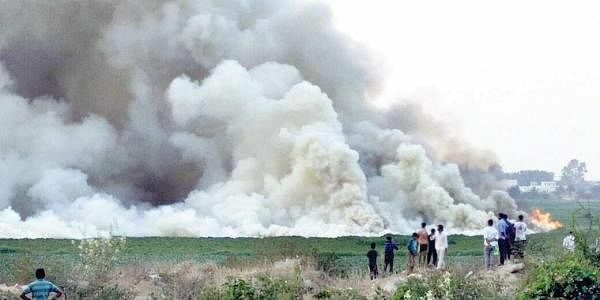 Thick smoke had enveloped Bellandur lake after the fire, which also triggered panic among motorists on the busy Sarjapur main road. Residents hit out at the Bruhat Bengaluru Mahanagara Palike (BBMP) officials for their "lackadaisical" attitude in stopping garbage dumping. Karnataka State Pollution Control Board Chairman Lakshman said notices have been issued to BBMP, Bengaluru Water Supply and Sewage Board and other agencies to stop the dumping. He also said the board is in the process of inspecting sewage treatment plants in the area. The lake has been in news for the last one year for spillover of froth and toxic fumes.